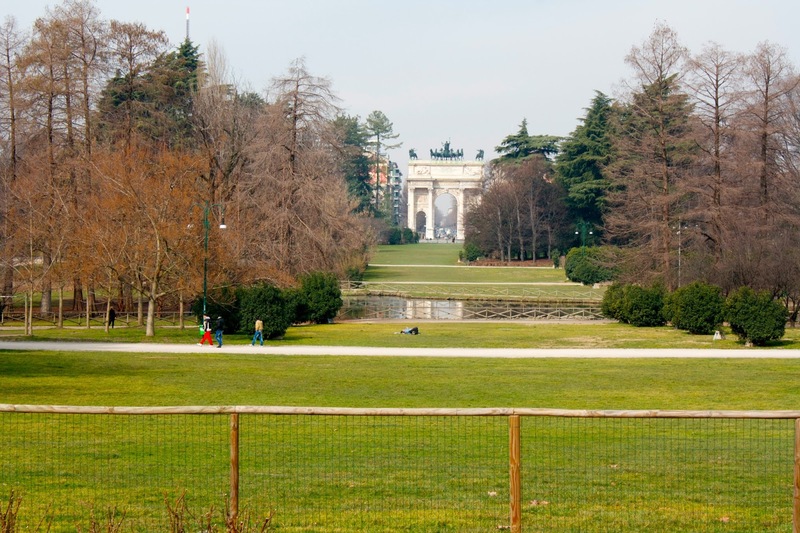 There is something about Italy that really captivates me. When I was in Rome a couple years ago, I fell in love with everything about the city. 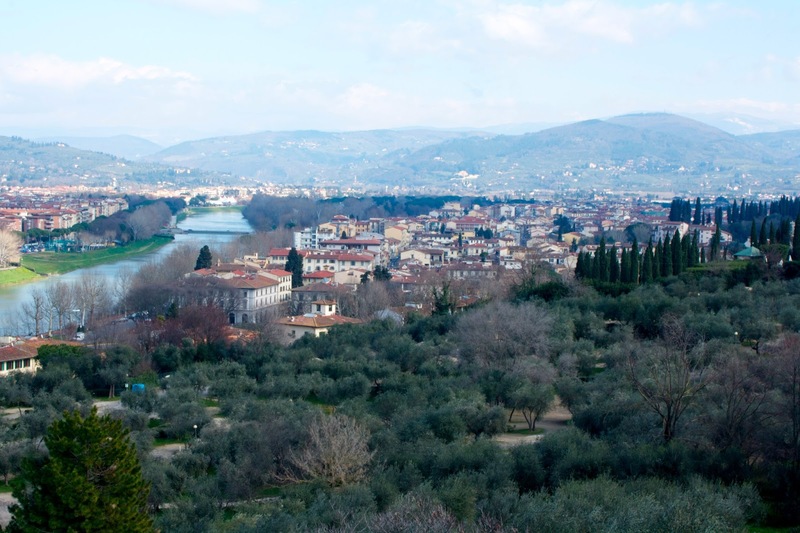 I did spend a day in Florence, but the day was rushed, and I had no idea what to do or see. This time around, I planned my trip to Florence to stay with a good friend who is studying there. I had three full days to see the city I hardly saw last time I was in Europe. And thank goodness I did! I had such a relaxing time with good people, wonderful food (I can certainly confirm that I took advantage of the gelato—if France is lacking anything, that’s it), and beautiful sights. Friday, I got a chance to go to the Uffizi—something I missed out on last time because I chose to go to Accademia instead (which was an excellent decision—Michelangelo’s David is incredible). The Uffizi was incredible—the building itself is an incredible work of art—and it was the perfect way to spend a dreary afternoon before a delicious dinner in the evening. 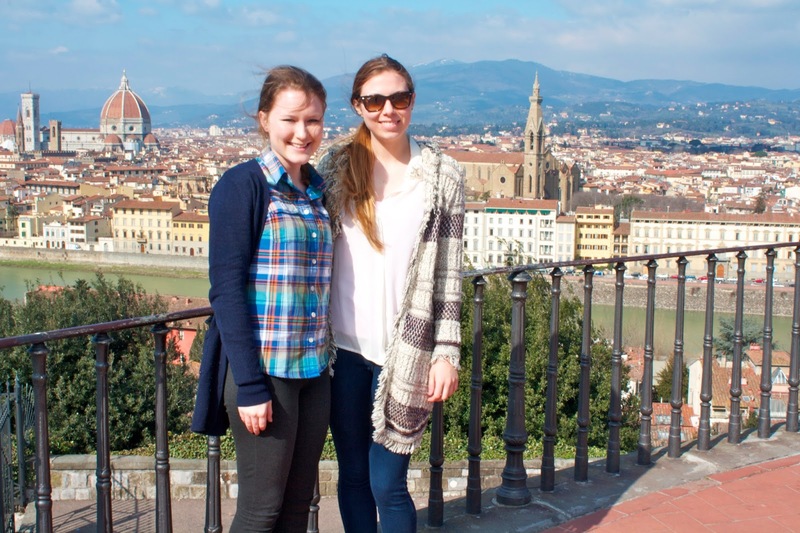 Leah took me to Piazzale Michelangelo on Saturday to see the sweeping view of the city. The weather was absolutely incredible (a welcome break from Arctic Paris), and the hike was wonderful. The weather continued to be perfect and we took advantage of it on Sunday by going to a Fiorentina—Chievo futbol match, which was definitely one of my favorite parts of the trip. My favorite sport in one of my favorite countries was not something I wanted to pass up! After a huge “goodbye” dinner thanks to the wonderful cook Leah, I spent my last night and left for Pisa in the morning. I’ve discovered one thing about traveling alone—it’s a bit terrifying. But it’s also the best way to meet tons of new, interesting people, learn more about yourself, and experience some true solidarity. 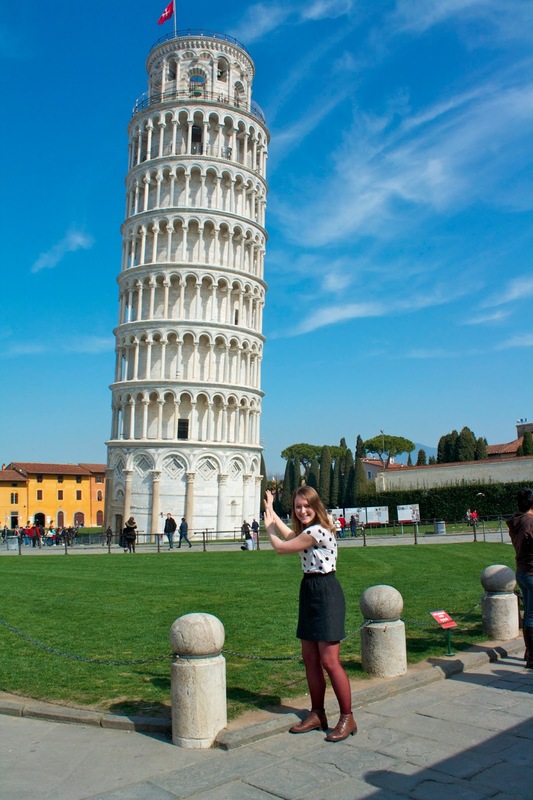 In Pisa, I made new friends as I took some photos in front of the Leaning Tower. From Pisa to Milan, I chatted with some Italians as we rode past Cinque Terre and in between mountains. 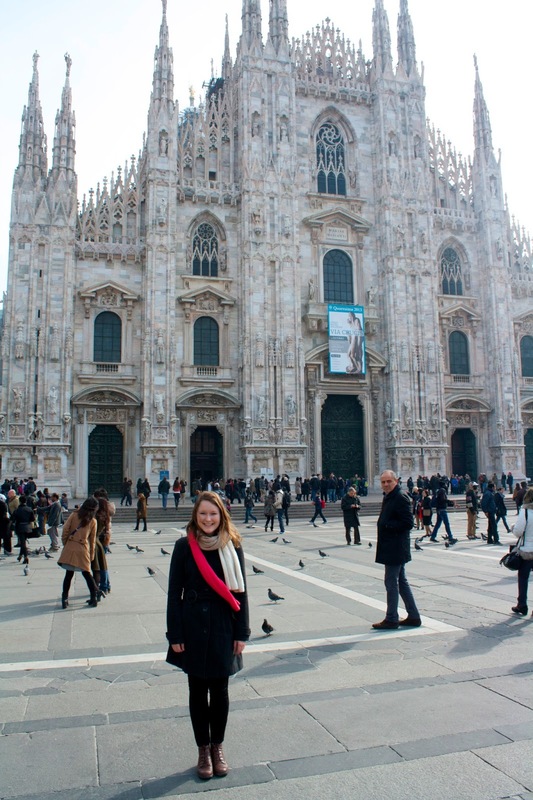 And in Milan, I was treated with the best hospitality by some really wonderful people. And I was so happy to arrive back in Paris for a day, but I can’t say one bad thing about my first weekend of vacation. Hoping for another amazing experience in Amsterdam this upcoming weekend! How beautiful. This whole Europe thing. It has already changed your life and will shape your personality and perspective for the rest of your life. Daddy, I'm so happy you're reading my blog! It makes me so happy. This experience is certainly something incredible. Thank you for making it happen for me. I love you too, dad!